materials not durable for shipping or transport. LED lights do not emit heat or UV. LED daylight lighting unit with two light banks for even and soft illumination. Each light equipped with 288 white high-CRILEDs. Purpose – Main workhorse scanner. 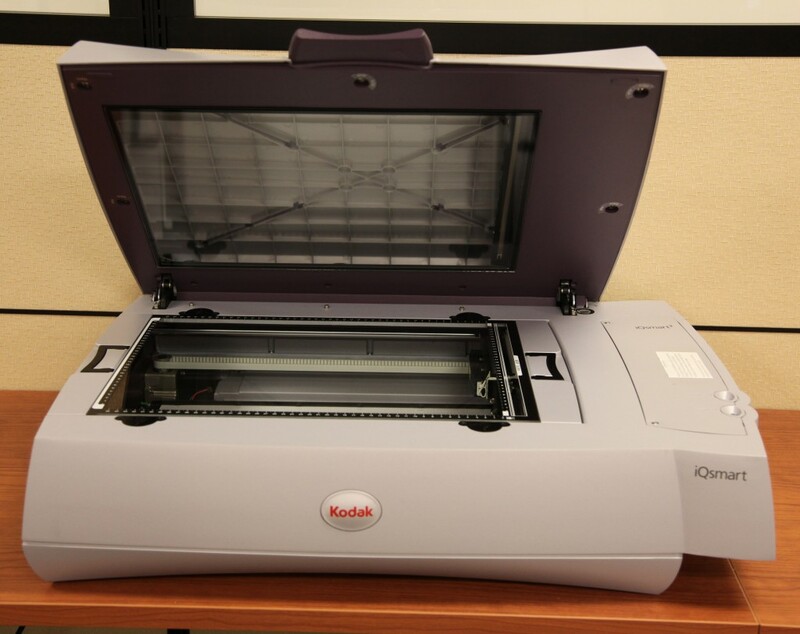 We currently use seven Epson 10000XL scanners, each equipped with the transparency adapter. Scans reflective and transmission (negatives/transparencies) photographs/documents. Specifications – Optical resolution: 2400×4800 dpi; Maximum enhanced resolution: 12,800 x 12,800 dpi. Capable of 48-bit color depth. Scanning area: 12”x17”. 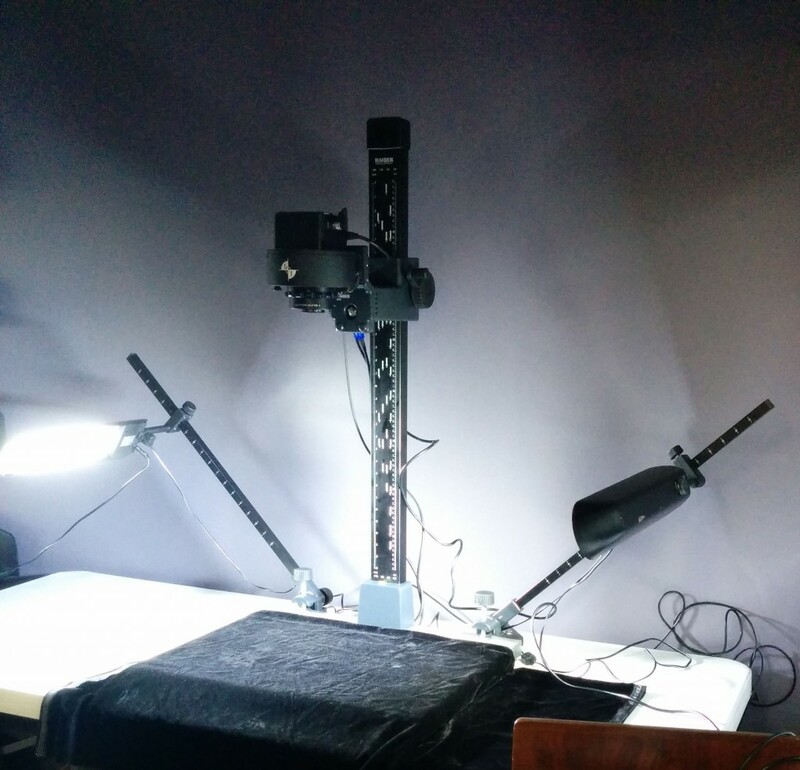 Purpose – High detail scanning of reflective and transmission photographs/documents. Specifications – Optical resolution: 5,500 dpi; Maximum optical resolution: 5,500 x 10,000 dpi. Capable of 48-bit color depth. Scanning area: 18”x12”. 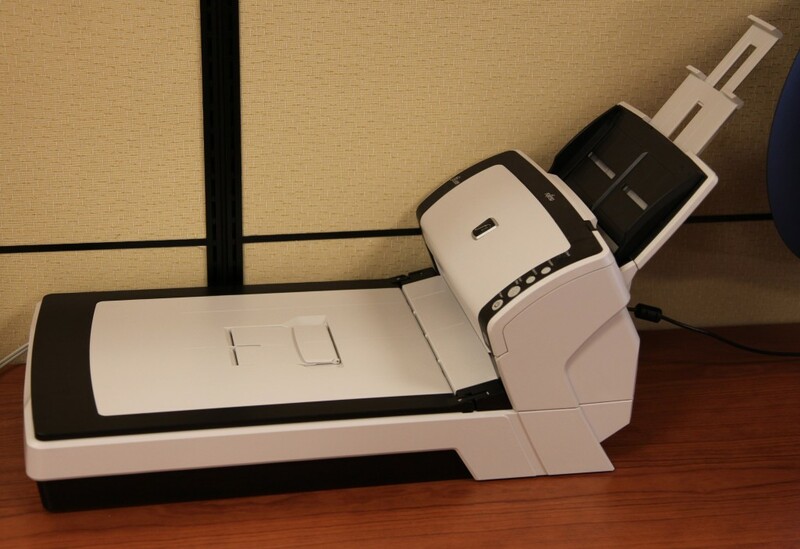 Purpose – Scan photocopies using an ADF or scan documents on scan bed. 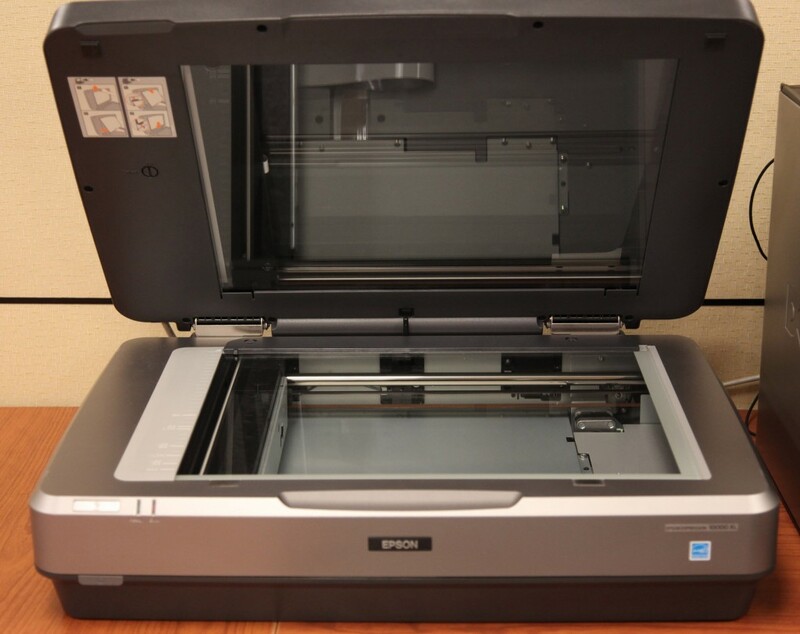 Specifications – Optical resolution: 600 dpi; ADF capacity: 50 sheets; ADF size: 8.5” x 14”; Scan bed size: 8.5” x 11.69”; Capable of 24-bit color depth. Purpose – Primary book scanner. 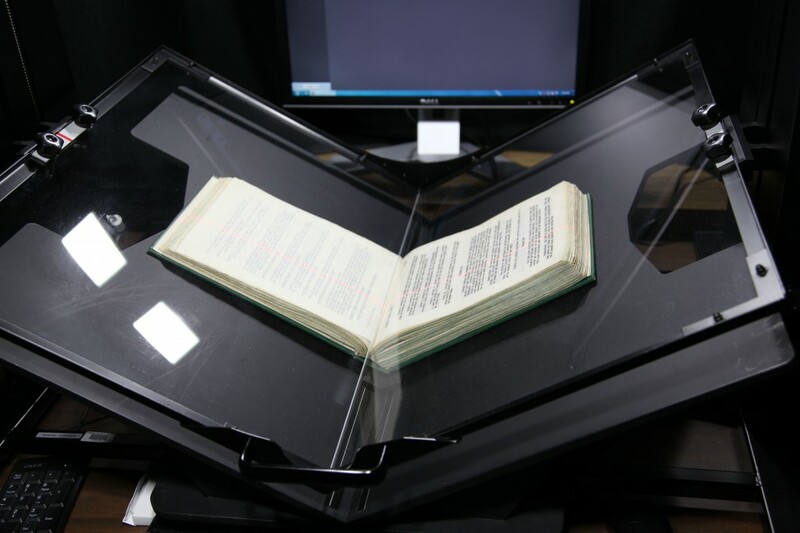 V-shape cradle and platen “gently engages the pages and causes natural flattening. 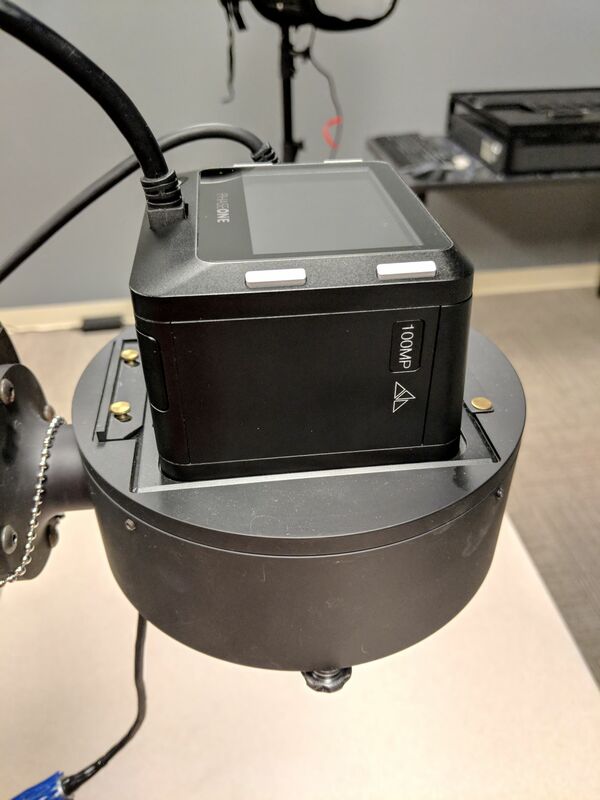 Allows for curvature-free scanning without using software enhancement. Two cameras shoot the left and right sides of the book. 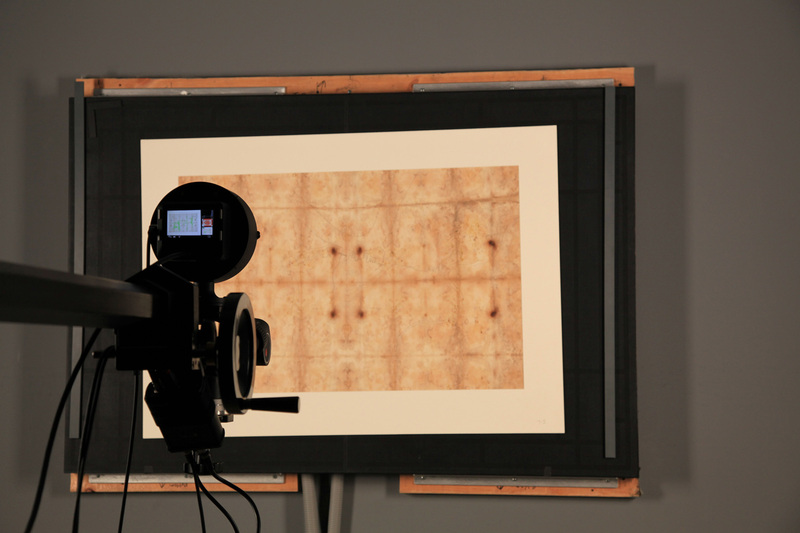 A laser helps the cameras accurately auto-focus to the page. Specifications – 2 Canon EOS 5D Mark II DSLR cameras with 50mm lenses; Scanning area: 16.5” x 24.2”; Shoots in JPEG or RAW; 700 pages an hour potential scanning speed. Software – BookDrive Capture and Editor Pro. A 101 Megapixel (11608 pixels x 8708 pixels) digital back allows for large format imaging up to 60″x40″. Used for maps, blueprints, scrapbooks, 3D objects, and more.